Event #63 Champion Bryn Kenney! 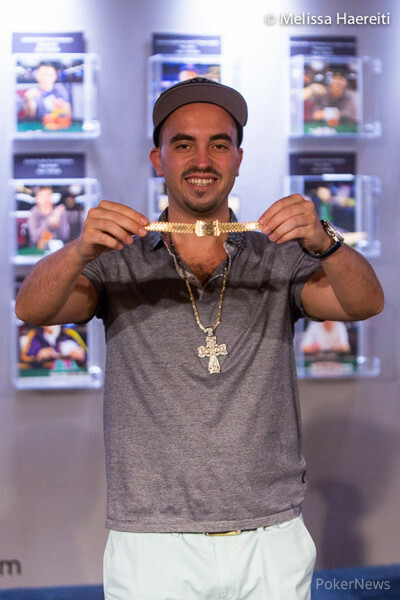 The final mixed game event of the 2014 World Series of Poker has officially come to a close with none other than Bryn Kenney earning his first gold bracelet as well as $153,220 in prize money! Kenney dominated this tournament from the very beginning, bagging up the chip lead on Day 1. From there, Kenney continued to keep his seat at the top of the chip counts, remaining in the top ten chip counts throughout Day 2 and ultimately bagging second place chips to end the day. With just nine players remaining for Day 3, Kenney shot out to a substantial chip lead early and rode that all of the way to his first championship bracelet. 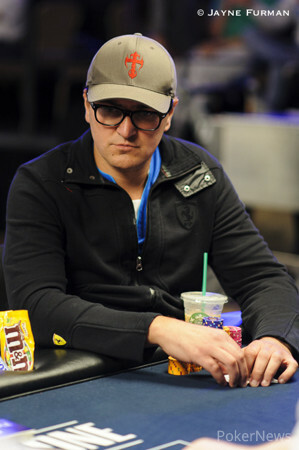 The day began with short-stacked David Blatte being eliminated from play during the first orbit of pot-limit Omaha. Following Blattte out the door was Haresh Thaker, prompting a total re-draw to the unofficial final table of seven. That unofficial final table quickly became official, as Michael Mixer was eliminated from play as the official final table bubble boy. Randy Ohel came into the day looking for his second WSOP bracelet, but ended up falling as the first casualty of the final table. During pot-limit Omaha, Ohel made a full house on the river but ended up shipping all in into Daniel Zack's flopped quads. After Ohel's elimination, five-handed play wore on for quite some time. Ultimately it was Andrey Zaichenko who was next to go after shipping all in into Fabio Coppola's pocket kings in limit hold'em. Zaichenko did not improve and was forced to settle for fifth place. Zack was eliminated in fourth place when he failed to make a four-card badugi against Jan Suchanek's jack badugi. 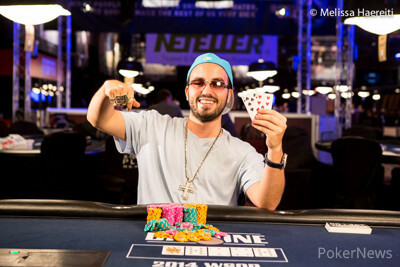 Soon after, Copolla became the third place finisher after an unfortunate hand of no-limit 2-7 single draw. This left Kenney heads up with Suchanek for the bracelet with Kenney holding a significant chip lead. Despite Suchanek being able to battle back in a few of the limit games, it was ultimately no-limit hold'em that did him in. On the final hand, Suchanek three-barreled on each street after flopping a pair of deuces against Kenney's turned trip nines. Kenney called the shove on the river and was awarded the bracelet. That does it for our coverage of Event #63! Be sure to check out our Live Reporting page as we gear up for wall-to-wall coverage of the WSOP Main Event! Jan Suchanek Eliminated in 2nd Place ($94,618); Bryn Kenney Wins! Jan Suchanek limped on the button, Bryn Kenney raised to 33,000 in the big blind and Suchanek called. The flop came down and Kenney checked to Suchanek who bet 105,000. Kenney called, the hit the turn and Kenney checked again. Suchanek fired 250,000 and Kenney called to see the river, which he checked. Suchanek shoved for about 520,000 and Kenney snap called. Suchanek tabled for nines and deuces, but it was second best to Kenney's for trips. Bryn Kenney was the bring in and Jan Suchanek completed the action. Kenney raised, Suchanek re-raised, and Kenney called. On fourth, Suchanek had first action and he led out with a bet. Kenney called and picked up the first action on fifth. He check-called a bet and both players checked sixth street. Kenney tossed out a bet on seventh and Suchanek called. Kenney showed for two pair of fives and deuces. Suchanek had that beat, however, with for sevens and four. Suchanek has now evened the gap with his 900,000 to Kenney's 1.1 million. Jan Suchanek opened his button to 30,000 and Bryn Kenney called. The flop came down and Kennecy checked. Suchanek continued for 55,000 and Kenney called. The dropped down on the turn and both players checked to the on the river. Kenney led at the pot for 55,000 and Suchanek let go of his hand. Kenney took down the pot and increased his lead to about 1.465 million. Fabio Coppola limped from the button and the floor staff informed him that he must come in for a raise. He made it 20,000 to go and it folded over to Bryn Kenney in the big blind who moved all in. Coppola called for his last 80,000 and the two were off to the draw. Kenney stood pat and Fabio opted for one card. Coppola squeezed out a , failing to make a hand to beat Kenney's jack-ten. He was eliminated in third place for $61,396. Bryn Kenney raised from the button and Jan Suchanek made it three bets from the big blind. Kenney called and the two were off to the draw. Suchanek took two cards while Kenney picked just one new card. Suchanek bet and Kenney called. The second draw saw both players take one card, Suchanek fired again, and Kenney tossed out a call. On the final draw, each player took one card once more. Suchanek bet and Kenney called, Suchanek showed a winning for a seven badugi. 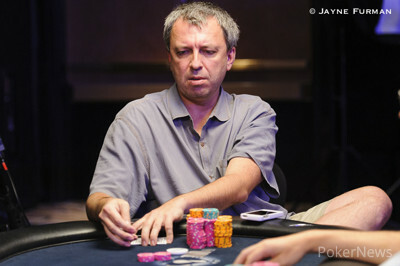 Kenney mucked and Suchanek increased his stack to 660,000. Bryn Kenney brought in with a queen and Jan Suchanek completed with a five showing. Suchanek continued out with a bet on fourth and Kenney called. Kenney had first action on fifth street and took this opportunity to lead out. Suchanek called and both players checked sixth street. Suchanek fired a bet on seventh, Kenney let it go, and Suchanek took down te pot.